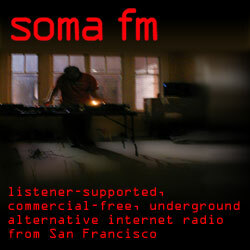 Help spread the word about SomaFM by linking to us! Here's some sample links to us, as well as some guidelines for linking. We prefer (but don't require) that you link to our home page or main menu sections and not to content inside the site. The reason for this is that we can't promise those other links will always be there. If you link directly to a stream, please use the example links below as they are the only "permanent" links to streams. 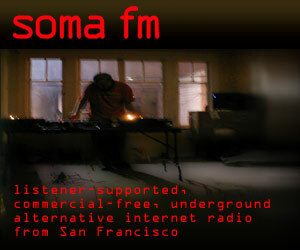 All other links, such as the ones from Shoutcast.com, are dynamic and change from time to time. The links below are the official links we maintain and always point at the correct points. All you have to do is pick the one you like, and copy the HTML code in the box below it, and paste it into your site. Pretty easy, huh? !